Emily simply MUST love this.. It's only the first movement. Another video from Alma's concert with the Israel Philharmonic Orchestra. Alma Deutscher on stage during her Tokyo Debut Concerts. Sorry for the german links, but I think in the moment she is more in Germany/Austria than in England. All her mentors live here. During a fascinating tour of the Händel-Haus in Halle, Alma was allowed to play on one of the instruments in the wonderful collection of the museum. 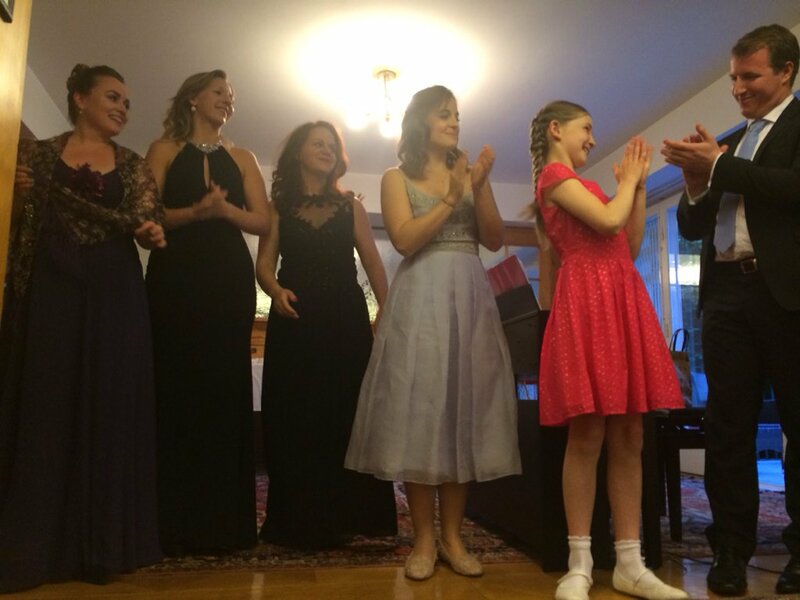 Pictures from a wonderful recital yesterday at the residence of the Israeli ambassador in Vienna, Talia Lador, where Alma presented music from her opera Cinderella together with singers of the ensemble Oh!pera and musicians from the Vienna Philharmonic Orchestra. Thank you for all those who helped maked it such a wonderful event. Alma and Helen playing on Mozart's own two violins in his birthplace in Salzburg. They are playing a trio (Rondino) that Alma composed when she was 8. Helen is playing on Mozart's (tiny) childhood violin, and Alma on his full-size violin from his teenage years. Thank you so much to Mrs Ramsauer, director of the Mozart Museums, and the Stiftung Mozarteum Salzburg.